The FTD® Little Miss Pink™ Bouquet sweetly brings together roses and Asiatic lilies to welcome the new baby girl into the world and congratulate the proud parents. 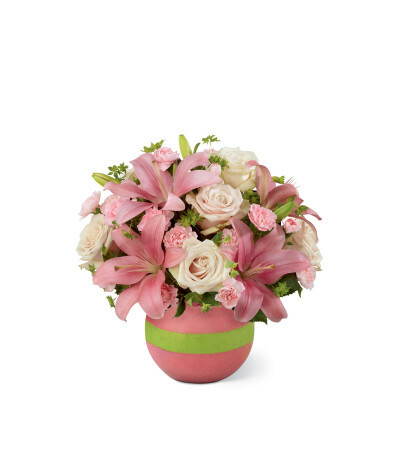 Blushing pale pink roses, pink Asiatic lilies, pink mini carnations and bupleurum create a stunning flower bouquet arranged within a clear glass bubble bowl vase housing vibrant pink and green foam for a fantastic look that will delight the new family with its charming beauty. Excellent service that is very easy to use with good communication. Thoroughly recommended. 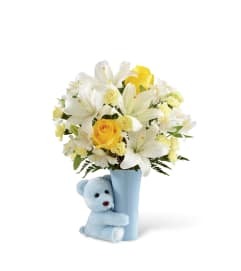 While I ordered the flowers on the website, I called to confirm a time frame as I couldn't find a function on the order form. 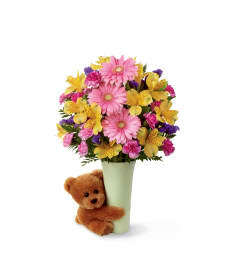 The florist was very helpful and friendly. The order was delivered as agreed and my wife loved the Anniversary surprise. Easy, Quick ordering on the website. Delivery of fresh flowers just hours later. Very satisfying. Petals & Plants is a Lovingly Florist in Tuscola. Buying local matters. Discover how Lovingly supports local florists. Copyrighted images herein are used with permission by Petals & Plants.